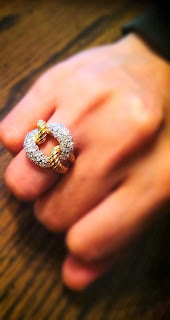 Most women would love to have a diamond ring, if only they can afford it or their special someone can afford it. Many just shun the idea of gifting it for the anniversary mainly because of the price. Did you know though that you can still make her feel special with a Vivian Ring, yet it will not cost you as much as the super expensive diamonds? No one can tell the difference with the naked eye. They may be replicas, but they have ideal cuts and appear flawless. They are environmentally friendly and part of the sales go to the orphans. Your satisfaction is important and you get a money back guarantee. Whether you want a ring, bracelet, earrings or necklace, Diamonius can be your best friend. Become their Facebook and Twitter fan to get the best deals for their popular synthetic diamonds you will love. Clarity: Equivalent to the best IF (inclusion free) diamonds. Flawless under 10X magnification. Stone Hardness: 8.5 on Mohs Scale. Will cut glass.